A few years ago– in the early years of grief– after having one too many clichés flung in my face, through a mess of tears, I wrote this. Then I daydreamed about the next time someone clichés all over me– instead of nodding and smiling while crying inside, or kindly educating them about a more comforting and helpful way to talk to a bereaved parent– I’d have enough grit and grace to recite this instead. since God didn’t ask you for yours. if all of God’s plans for you have precisely tailgated your own like a lovely fairy tale. please tell me one good reason my son is forever buried deep underground? if you’ve never felt betrayed by the heavens themselves. if you can still find your rope. if time has already made perfect heart-shaped scabs of yours. would you like to switch places with me and feel how little I have left? if none of your ‘flowers’ have ever been plucked before their time. if you haven’t had to hold your dead child’s hand inside the curves of your living one. if you still get to hold your child in the best place there is. would you be willing to exchange your living child for those you might someday have? if you haven’t been asked to walk through this never-ending storm of mine. if the plan you got currently includes all of your children rambunctiously romping around your living room. Note: Often phrases that are intended to comfort grieving parents can unfortunately bring more pain to an already aching heart. Clichés can sting and further isolate. Walking the road of child loss is painfully lonely. Instead of trite clichés, try offering a hug instead, say their child’s name, or ask about their favorite memory of their precious child. Ask what they miss the most. Ask a question where they can talk about their child’s beautiful life, not their death. Most of all, grieving parents want to know their child is remembered. They want others to remember they lived. Child loss cannot be prettied up or watered down. Be compassionate and acknowledge the truth of what is. 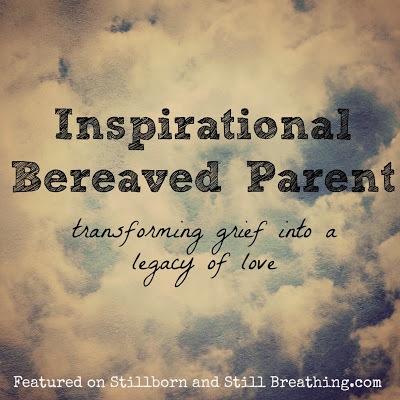 It will go a long way in offering true comfort to a grieving parent. 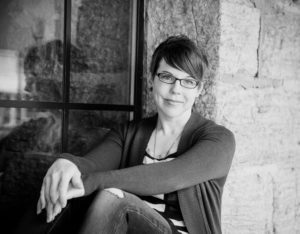 Angela Miller is an internationally known ​writer and speaker on grief and loss. She is the author of You Are the Mother of All Mothers and ​founder of the award-winning online community ABedForMyHeart.com​. ​Angela’s piece 7 Things I’ve Learned Since the Loss of My Child has been shared almost 1 million times. Her work has been featured in Forbes, Psychology Today, CBS News, The Huffington Post, MPR, BlogTalk Radio, and FaithIt, to name a few​. 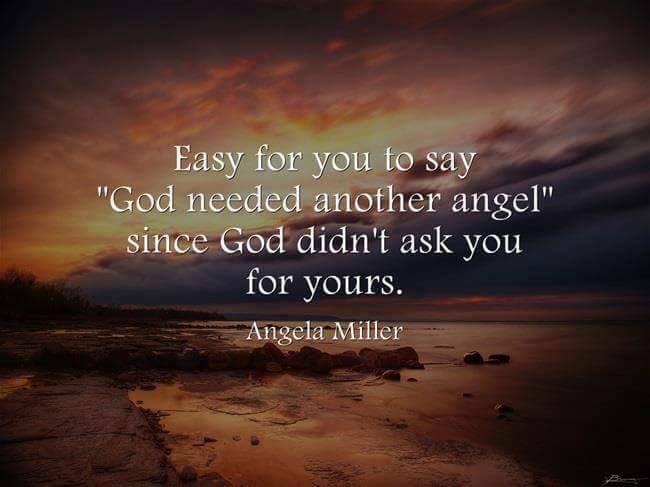 To date Angela’s writing and her book have comforted the hearts of millions of grieving parents around the world. Text and images © Angela Miller A Bed For My Heart 2012-2017. All rights reserved. everything you say is so true. I haven’t been bombarded with these comments – yet. But I hope I have the courage to use one of your replies when & if it happens. Thank you for your “words”. I hear you, and feel the same. The rage I feel in grieving the death of my daughter is explained perfectly by this post. No one really understands it unless they have been there themselves. Our children are not forever separated from us, only until our time here on earth is over. Then I will see my Fiona Rose again. But it’s such little comfort for right now. I know sometimes these comments are taken the wrong way, but we need to put ourselves in their place too. They are clueless of what to say or do, and I guess the fact that they attempt to say something is better than saying nothing at all. Sometimes that can hurt more than these comments. People dont know what to say or do. Grief can make us angry and take things the wrong way at times. Try to understand our loved ones reactions, as hopefully the do the same for us. When my son died, i went through a period (sometimes still in it) that I felt and cried with the same burning rage I feel behind these responses. There were times when I did, in fact, respond to someone in a similar way. She said “I know how you feel” and I said “No, you will never know how I feel. Let me know when your son dies and then you will know what I feel.” It felt kind of nice to say it, but quickly I saw that all it did was embarrass her and shut her down in a way I hadn’t really intended. So, my experience was that if you say these things in response, be prepared to know you are shutting down someone who is really just trying to be there for you and has no idea how to do it. I DO believe there is a plan, a purpose, and if I deny that, then my son died for nothing. I refuse to believe that. Somewhere, someone has learned something, changed something, grown up in some way, that wouldn’t have happened without my son’s experience. I know I’ve learned things about myself, about others, and about the world I would not have known otherwise. My grief is deep and impenetrable, but my son didn’t go underground and decay. He went home to heaven and is waiting there for me and for his own son to arrive one day. Now, when people are stupid and say unconsciously hurtful things, I first try to dredge up, past my rage, that they just don’t know what else to say. Give them a hug and tell them “I’m glad you don’t know anything about this. No parent should bury their child,” Hug them and move on. They are more valuable in your life than the people who can’t think of what to say and so just disappear. Give me one ‘saying stupid things’ person and they are better than 10 ‘disappeared because I didn’t know what to say’ people. I really love your response. My words and heart exactly. Others are just trying to be a friend. Anger and haughty remarks are hurtful too. Treat others the way we would like as well. You can calmly not say anything which would be best for both parties. It’s tough enough with the loss to be hurtful to others. That is such a perfect response. Peggy, Thank you for continuing the discussion. I am a bit different, since my 41 year old son is missing. He has 3 beautiful kids,13,10 and 8. We believe he has been murdered… we are all in a state of limbo. No body has been found. and it feels like detectives have moved on to more pressing cases. People ask if we have any news…..and I don’t. Then I try not to cry, but I so appreciate that they took time to ask and give me a hug. I don’t think about the dumb things they say, just acknowledging our situation gives me comfort. I am afraid of Thanksgiving and Christmas, but my grandchildren need their holidays. We talk about their dad a lot, and they hope for his return. Their prayers are for him to be safe, warm, having food and shelter. So I share their hope, even though the adults don’t expect to see him until Heaven. I am grateful for the friends who are in my life, and forgive those who pretend not to see me. I am sorry for you rloss. It is dangerous to assume, as well. If you responded like this very often, you’re going to run into someone who has also lost a child and does know how you feel. I like your second response better. I take what is offered, wishing I didn’t know the things I’ve learned, and praying that the person I am speaking with never learns. Peggy, yes, I agree with you! My daughter died six weeks ago and I firmly believe it is part of God’s plan for her, me, and the world. She lived seven years with special needs and she was such a strong influence on those who met her. I believe her death is an extension of her life. My love for her continues to grow every day, even beyond her death, and I’m certain that is influential and impactful for others, as well. I would rather someone say something than nothing at all. Every person on the planet needs to read this, Angela. I remember feeling as if I was taken “out” of my grief and sorrow because I was so angry with the abundance of platitudes that were flying my way. I needed to just BE and to feel and instead I was having to peer outside and find a clear path to my mailbox where I wouldn’t be highjacked with some “comment” that felt like an ice pick digging at my war torn heart. Education, education, education! I so appreciate what you wrote at the bottom of your entry about things that we CAN offer another and that includes me. As one who knows how this path has felt for me, saying, “Me too” when a mom is journaling her heart out is the companioning we crave, right? Blessings to that BEautiful heart of yours that I’ve been growing to love and appreciate SO very much. This message is so true, My son has been gone for ten years and all of these responses have been said to me. A couple more have been said to me like my Grandmother died too but I am sorry for them with their loss I feel it is not the same or the friend loss their Dad to me it is not the same so this poem is sooo true. Thank God for you! I have tears in my eyes.. it’s such a lonely private agony. I would love to talk about my daughter with other people,but nobody wants to hear it… it’s just too scary and uncomfortable for anyone to talk about your dead child. I have Soooo many wonderful memories of my 161/2 year old daughter. Thank God, I can talk to my husband and and 2 other children at times. I am always reading about other mothers who have lost children.. they truly are the only ones who understand. 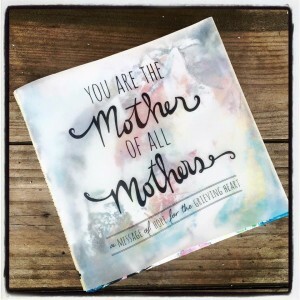 Thank you much for speaking up for us grieving mothers. And expressing how we feel. I feel terrible when someone says I don’t know what I would do if my child died. I feel like I want to say I love my child as much as you love yours but I wasn’t given a choice. Wow. Powerful article. There are days when yes, that is how I feel, most days. But I agree with Peggy, responding as such will shut people down, who are trying. I would so much rather someone “try”, or say “I just don’t know what to say…” than say nothing. I have a few very (formerly) important people in my life who just don’t know what to say and have “disappeared”, oh well, I say. 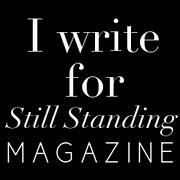 But it is somewhat comforting to read an article like that, with all of your heartfelt/heartbroken responses, to know I am not alone with these horrible feelings. A friend messaged me your link and I am so grateful she did. Thank you! I want them to say my sons name, Eric, in remembrance. It keeps him with us. Years later it tells me I’m not the only one who is missing him, he’s not forgotten. For years all I did was write in a journal. It kept me if you could say this, sane. I was with him, as if I was having a conversation with him. I’d say to his friends please share your memories of Eric with me. Send me any pictures you have of him. What I have is all I’ll ever have..
Love it all!!! I lost my Son Christopher this past Oct 25th in a horrible traffic accident. The pain is so deep. I got so exhausted with all the good meaning but hurtful words that I printed small cards with my Sons Name, Birthdate & Deathdate. I also added 3 pictures of him. One as a baby. One as a young teen. One of his most recent, all with him smiling. I also printed. The following. Thank You for your thoughts. Please pay forward Christopher’s being. To Smile, Be happy and Enjoy Life. I now hand these out immediately to any one who starts off any conversation about Chris and their condoleences. It stops them dead from offering advice and gives them permission to ask questions about him. It seems to refocus on him and not me. It has been wonderful and healing for me as it keeps my son always with me and even though the emptiness is still there I find so much joy in seeing his smile and talking about him. Thanks for listening. Peace. Wow, I really like that! Good for you! Honoring your son and your own sense of peace. I can understand your anger in your grief, but does it give you the right to rip somebody else apart when they are trying to comfort you? If my family said a response to me like those listed, it would take awhile before I ever said anything else about their lose, if ever. So if you want to never speak of your son or daughter with them go ahead and have your little tamtrum. You’ll find comfort will be far away when you are ready to talk to others about your loss. I just read your post on 7 things I’ve learned since I the lost of my so. Love it,but I lost a daughter Priscilla in a car accident 4 years ago on March the 3rd 2013. It’s ripped my heart into. I having issues with my oldest daughter Amanda. She feels like I should move on and focus more on her and not her sister that’s not here anymore. How am I suppose to do that. I’m on a support group called my child has wings. Has been very helpful. But not with this situation. All of your observations are so true. My besutiful daughter, Marie died in 2012 at age 25. She would have 31 a week ago. My dad, his wife and a sister of mine have all decided not to acknowledge her birthday. As if the expectation is that my grief should be over now. We all know it will never be over. That doesn’t mean that happy things don’t make me happy. Or that I have decided to be without Joy or unhappy. It simply means that a joy that I once knew and planned for more of will never come. A reality they will never know. Thank you, thank you for this article…At Christmas this year, as she is holding her daughter, A family member’s girlfriend said the “ God has a plan…took him for a reason…it was his time” words to me. I was so overcome by the ignorant cruelty of her words that I was speechless. Though I know somewhere inside me that this person wasn’t trying to hurt me intentionally…your article sums up exactly how I felt. I, too, have unfortunately been in this “club” that I never asked to join. And unless someone has walked in your shoes, they really do not know and cannot imagine the hurt, the pain, the hole in your heart, and gut wrenching feelings that continue to come and go. They cannot know how you go through the stages of grief……only to consistently go back to stage 1 and go through it again and again. I have helped other mothers who have experienced this horrible loss through the years. And one thing that I have told them all is that there will be those persons who just say the “wrong” things for you. It is not intentional and they think they are saying supportive words. That is because they have not experienced this loss and they do not know what to say. Most are uncomfortable saying nothing, so they say something. Something that they think should be the proper thing to say. But it is not what you want to hear, ever. I advise that which I have done……simply let them know that you really do not wish to talk about it right now and thank them for their thoughts. Saying nothing at all is so much better than telling me something like “that he is in God’s hands”. Putting your hand on my shoulder, hugging me. telling me that you are there for me if I want to talk….these are some examples of what would be better for me. Not necessarily for everyone. It has been 16 yrs since my son died at age 21….and yes, I say “died”, not “passed away”. Whoever came up with that phrase anyway? These 16 yrs seem like yesterday at times and at others it seems like a lifetime ago. But I remember every vivid detail from the moment I knew until after the Memorial service…every small detail that happened every day that horrible week. I relive it every year at that time period and I relive my pregnancy and labor/birth when his birthday comes. In between those months, I see him anywhere, everywhere…anything can trigger the thoughts and memories. Watching a family at dinner with small children reminds me when he was young, watching a boy play with his pet, etc, etc, etc……doesn’t have to be anything big, just something small. I have learned to live my new normal life, but that does not mean that “this gets better, heals, goes away” it is here to stay forever. And I like it that way. I do not want to forget.